Another exciting event is brewing for Airstreamers. 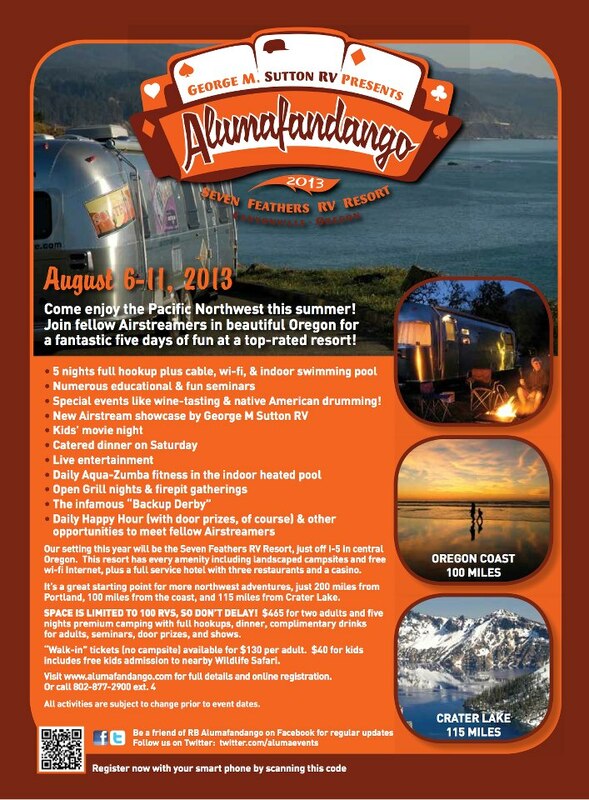 Alumafandango 2013 is being held in Canyonville, Oregon at Seven Feathers RV Resort. Lets get ready to rumble on August 6-11, 2013. Registration is easy, just click here.